More food, more bacon and more bourbon! Last year we were featured on the new season of the national television show, ”Carnival Eats”! 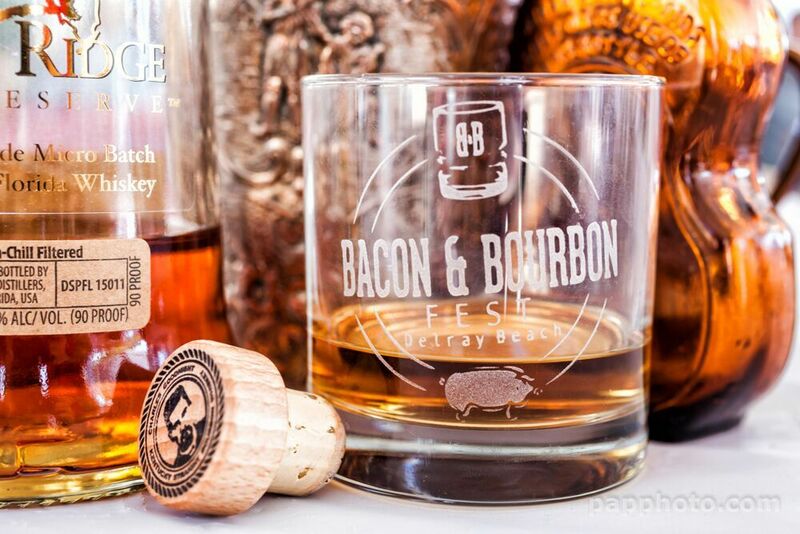 The 5th Annual Wellington Bacon & Bourbon Festival shines a loving light on our most flavorful food…Bacon, and the quintessential American liquor…Bourbon. The event challenges the culinary skills of Palm Beach County chefs exploring the boundaries of New American Cuisine and the Farm to Table movement along with good old fashioned comfort foods, just like Mom used to make! Our chefs come up with new and unusual menus of bacon and pork-related dished from the sublime, Chocolate Dipped Bacon or Bacon & Bourbon Pulled Pork! Completing the palate-pleasing properties of bacon, we have an eclectic selection of bourbon and whiskeys. The distiller’s art and patient techniques are shared in a series of seminars and tastings. All intended to enhance your knowledge and pleasure of bourbon, rye, and whiskey. There will be artist and crafters displaying their eclectic mix of art, funky crafts and bacon, and bourbon related items. We’ll have plenty of backyard games to play & great local bands live on the Wellington Amphitheater stage! At the heart of all of our festivals is our commitment to creating fun-filled food lover community events featuring unique food and beverages. We strive to ensure that our sponsors are richly rewarded for their investment in our events and our community. The event¹s strong commitment to the community is that they are designed as a fund-raising opportunity for non-profit organizations that staff the event. Our non-profit organization has contributed over $670,000 back to our community volunteer partners. Oh, one more thing, the event is FREE! Join us on March 22-23, 2019 for a culinary journey with a pig and a barrel at beautiful Wellington Amphitheater. We’ve cleared it with your doctor; your cardiologist and your mother so come and play at the Fourth Wellington Bacon & Bourbon Festival.